The Donovan Bar promises "new levels of glamour and visual seduction"
The Donovan Bar at Brown’s Hotel has recently been renovated, and its sophisticated interiors have now been revealed. 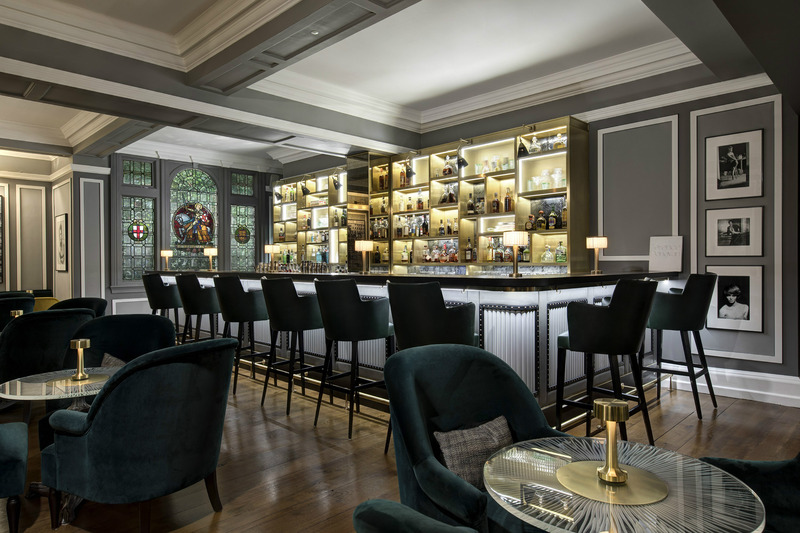 The iconic Donovan Bar, in Mayfair’s Brown’s Hotel, has been relaunched following a redesign by acclaimed interior designer Inge Moore, in collaboration with the Director of Design for Rocco Forte Hotels, Olga Polizzi. 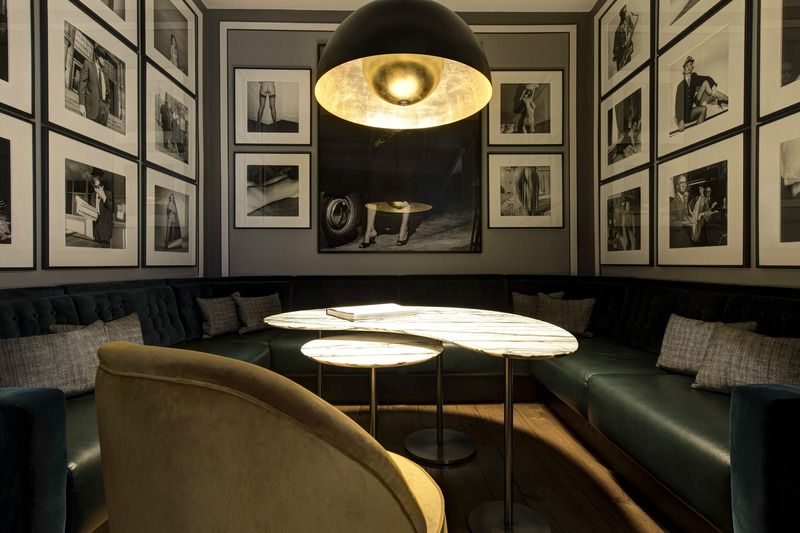 Their goal with the redesign of the Donovan Bar’s interiors was to “introduce new levels of glamour and visual seduction” to the space, and to add touches that remind guests of the Bar’s namesake, Terence Donovan – one of the 20th Century’s most celebrated fashion photographers. 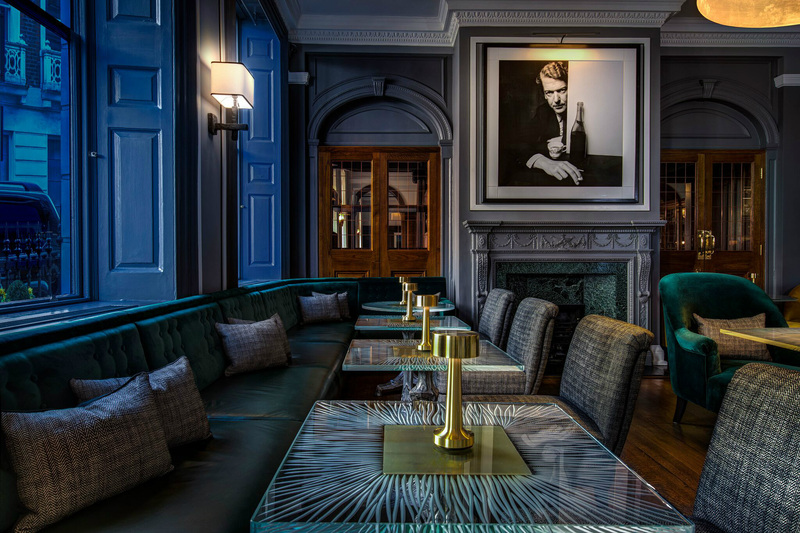 Moore is renowned as a designer who draws on the history of each of the buildings she works within; for the Donovan Bar, this was easily the classic English backdrop, as befits the stunning Georgian building that houses Brown’s Hotel. The colour palette throughout the bar combines splashes of gold with British racing green, and whites and greys, which are reminiscent of Donovan’s black-and-white photographs - these also line the bar's walls. The renovation brings the largest private collection of Donovan’s works - in existance - to the fore; the collection even includes a photograph of the Lady Forte, of the Rocco Forte Hotel group, as Donovan was a close friend to the Forte family. Donovan’s work has also inspired the finishes throughout the bar, with a balance of shimmering surfaces and matte finishes evoking a camera lens, and the glass bar top reminding guests of a photographer’s wet tray. Table tops have been cast in glass with bronze bases, while the main bar has been doubled in size to seat eight people – naturally, it now takes centre stage in the space. The striking bar has a leather front, and frames the original 19th Century stained glass window of St George, as well as the bar’s collection of drinks. In addition, the Donovan Bar now boasts its own Albemarle Street entrance, a doorman to welcome guests, and a residential-style corridor that leads into the main room. The Donovan Bar is well known as one of the most intimate and sophisticated speakeasy-style bars in London, often hosting guests from Mayfair’s elite art and fashion scene. As well as the interiors being inspired by photographer Terence Donovan, renowned bartender Salvatore Calabrese has created a list of 16 original cocktails that take inspiration from the bar’s namesake. The cocktails have been divided into four sections; bright, refreshing drinks are within High Exposure; dark and mellow cocktails are found in Low Exposure; strong and bold concoctions fall into High Contrast; and soft and delicate choices fit into the Low Contrast category. Continuing Brown Hotel’s reputation for balancing traditional style with a contemporary flair, the new Donovan Bar interiors and drink choices recall a legacy, transforming it into an elegant narrative to be enjoyed by all.